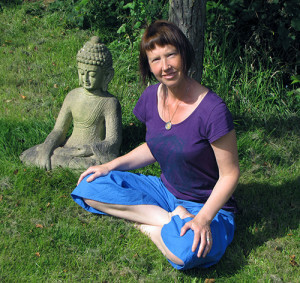 I am a full time yoga teacher teaching in Grantham, Retford, Worksop and Nottingham in a variety of settings, large classes, small groups, workplaces and one to one tuition. I also offer several yoga weekend and week-long retreats each year. Having practiced yoga initially as a student for around 10 years, my love of the voyage of discovery and unfolding led me to my first Integral Hatha Yoga Teacher training, qualifying in 2004. 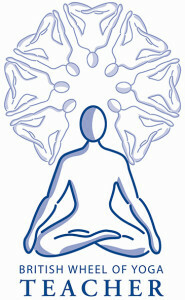 After teaching part time for a while I went on to take the British Wheel of Yoga Diploma qualifying in 2010 . In addition I am qualified to teach Yin Yoga following training with Norman Blair and offer Yoga Therapy for Insomnia in the Super Sleep Method developed by Lisa Sanfilippo and The Minded Institute. Having completed specific training with Yoga Bugs and the Special Yoga Centre, I am qualified to teach yoga to children and students with special needs. I hold an ITEC Diploma in Anatomy and Physiology and have studied anatomy in greater depth with the renowned anatomist and yoga teacher, Lesley Kaminoff. I am also certified in Emergency First Aid. In 2018 I began my Yoga Therapist training with The Minded Institute.